NITEP, UBC’s Indigenous Teacher Education Program, remains committed to increasing the number of Indigenous teachers throughout British Columbia. We recognize the need for community-based approaches that allow students to gain their teacher certification while remaining in their home communities and territories. With support from the BC Ministry of Advanced Education, UBC’s Faculty of Education and NITEP will pilot our community-based teacher education program in the Williams Lake/Quesnel area delivering all four years of programming. 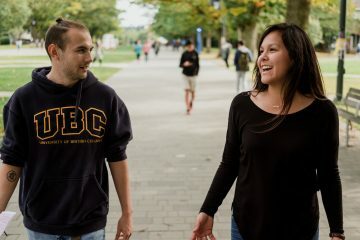 Generally, students come to the UBC Vancouver campus in their 4th/5th year to complete their professional year of UBC’s Bachelor of Education Program. With funding from the Ministry, students enrolled in NITEP at the Cariboo field centre will now have the opportunity to complete the full complement of the Faculty of Education’s BEd coursework and practica, with both a 2-week and a 10-week practicum, as well as a 3-week Community Field Experience in non-formal education settings in the Cariboo area. There has been strong motivation by school and community partnerships with School District #27 (Cariboo – Chilcotin), School District #28 (Quesnel) and the Tsilhqot’in National Government to bring a field centre to the area. In addition, other education partners, including the First Nations Education Steering Committee (FNESC), the BC Teachers Federation, the Association of BC Deans of Education (ABCDE), and the BC Government have been working together to address the serious underrepresentation of Indigenous educators to the overall number of teachers in this province. The BC Government announcement can be viewed here.